Begin by creating a Field Group. A Field Group is a bundle of one or more custom fields. 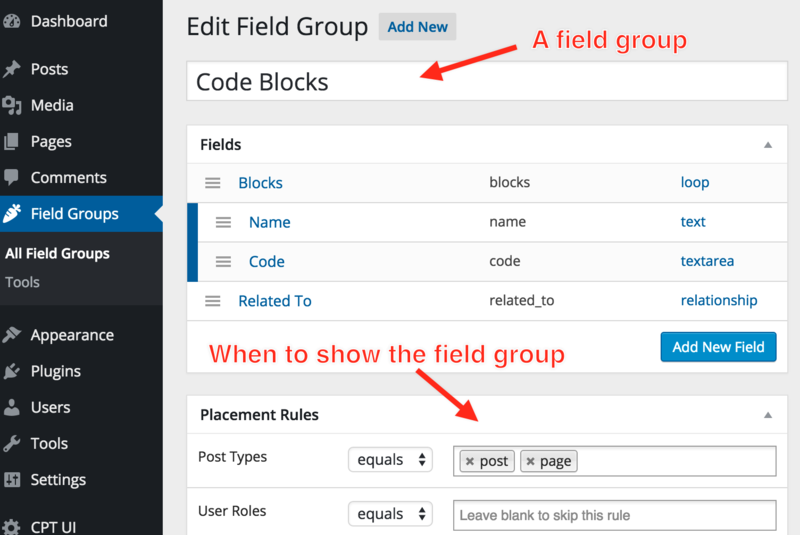 We can manage the fields within each Field Group. Each Field Group also has a Placement Rules box - here you specify where the Field Group should appear. The Field Group will appear on edit screens as determined by Placement Rules. For example, if you choose “post_type = event” within Placement Rules, then the field group will appear on all event edit screens. Simply fill out the fields.